Over three-quarters of customers that haggled were successful in negotiating a discount, latest survey reveals. To be fair to mechanics at franchised dealerships, our respondents also reported being very satisfied overall with their repairs despite being outscored by independent shops. Consumer Reports latest survey of repair service satisfaction found the odds are consumers will be more satisfied with an independent repair shop than with a franchised new-car dealership. The one automaker that outscored the independent shops was the electric carmaker Tesla, which earned high praise for its on-time repairs, courtesy, price, quality, and overall satisfaction. But part of Tesla’s current success might be because it’s new to the market, and it has a relatively small number of customers to satisfy compared with the established luxury brands. The survey, conducted by the Consumer Reports National Research Center in 2014, was based on subscriber satisfaction with repairs on more than 121,000 vehicles—80,000 of which were repaired at franchised dealers and more than 41,000 at independent shops. The survey found that, in general, independents outscored dealership for overall satisfaction, price, quality, courteousness of the staff, and work being completed when promised. With few exceptions, the entire list of independent shops got high marks on those factors. The same couldn’t be said for franchised new-car dealers. “To be fair to mechanics at franchised dealerships, our respondents also reported being very satisfied overall with their repairs despite being outscored by independent shops,” said Mark Rechtin, Consumer Reports Cars Content Development Team Leader. Luxury and upscale brands topped the chart among franchised new-car dealers, with Buick, Lincoln, Cadillac, Lexus, Porsche, and Acura slotting in behind Tesla, in that order. There were also some disappointments involving prestige marques. The biggest gripe was about the cost of parts and labor. Mercedes-Benz drivers, in particular, were much more satisfied with the price they paid at independent shops. The complete repair satisfaction ratings for 32 brands franchise repair centers as well as the independent shops that service those brands is available online today at http://www.ConsumerReports.org. Also dinged for high prices were Jaguar dealerships—as well as Mini dealerships, which often share a service drive (and high prices) with an affiliated BMW dealership. And if you own a BMW, Porsche, or Volkswagen, bargain hunting for a mechanic might not pay off. Owners of those brands were equally satisfied with the price paid at dealerships and independent shops. The lowest overall satisfaction score came from RAM owners that went to franchise dealerships, but that score was still a 76, which indicates that those consumers are still at least “fairly well-satisfied” with the service they received. Consumer Reports survey also found that just 19 percent of respondents tried to negotiate over repair work. But among those who did, 60 to 82 percent were able to save some cash at dealerships, depending on the brand. Haggling success was even better with independent shops, with 71 to 84 percent of negotiators receiving discounts. The median amount of money that consumers saved worked out to be about $120 for repairs at dealers and $94 at independents. Some luxury-car dealers were accommodating at the bargaining table. Those at BMW knocked off a median of $187 from contested repair orders. Mercedes-Benz dealerships discounted $180 from successful hagglers’ final bills. Among mainstream brands, successful hagglers saved a median of $152 for Subaru dealership repairs, $135 at VW, and $133 at Chevrolet. 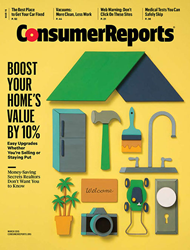 The complete repair satisfaction ratings chart is also available in the March Issue of Consumer Reports on sale January 29th or by visiting http://www.ConsumerReports.org. Consumer Reports Overall Repair Satisfaction score reflects general satisfaction with the repair experience. A score of 100 means that all respondents are completely satisfied; 80, that respondents are very satisfied, on average; 60, fairly well satisfied. Differences of fewer than 4 points aren’t meaningful, and the data was adjusted to control for differences linked to mileage and incidences of serious problems among the cars in CR’s survey, as well as whether the cars were purchased new or used.